← I PRAY THAT YOUR CHRISTMAS MAY BE FILLED WITH HIS GRACE !!! 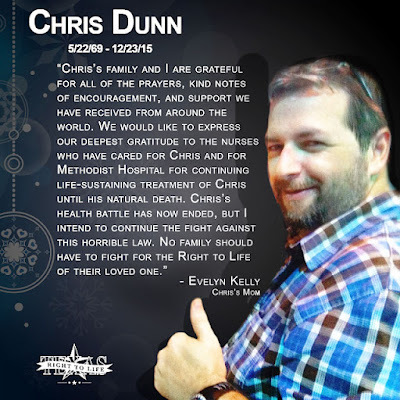 Chris Dunn died on Wednesday, December 23, at Houston Methodist Hospital. His sad saga was featured by many national news outlets, including Fox News, because a hospital committee, also known as a death panel, deemed Chris’s life was futile and not worth living, nor worth diagnosing. The decision was made to terminate his care and impose a death sentence — even though he was conscious and made known his wishes to live. The decision to terminate was made NOT because the treatment was futile (the treatment was actually helping Chris), but because Chris’s life was determined as futile since he had a severe illness. Texas Right to Life received the desperate plea for help from Evelyn, Chris’s mother, and we immediately sent our team to her side. Our Pro-Life legal team secured an injunction, which delayed the hospital from killing Chris! This legal skirmish proved incredibly difficult because the multi-billion-dollar hospital hired TWO legal teams in addition to their in-house team. They even tried legal maneuvers to strip guardianship from Evelyn because she would not acquiesce to the hospital death sentence.Even more shocking is that the hospital filed court papers to petition their own paid employee be appointed as Chris’s guardian. Chris Dunn was a servant who helped people until he suddenly fell ill. In his 46 years, Chris was an EMT, a dispatcher for the police, a Harris county sheriff’s deputy, a Homeland Security agent, and a security officer for a shipping company where he literally fought Somali pirates. This is so difficult:The hospital had every legal right to kill Chris, disregarding the patient’s own wishes because a draconian Texas Death Panel Law gives hospitals the power to rule over patients and their families. Texas Right to Life has been trying to reform this law since 2005, but the opposition is so well-funded that the medical lobby can buy friends. What we know about Chris’s passing: In the face of much pressure, the hospital did agree to extend the time that Chris would be treated there. Both Evelyn and we believe that Chris’s death was not artificially (or politically) hastened and that Chris died in God’s timing, rather than the hospital’s timing. We protected Chris’s wishes and his right to Life. What you may not know: Texas Right to Life works every day throughout the year to protect patients like Chris from hospitals across the state. In fact, our dedicated team is ministering to THREE other families right now who are facing this exact statutory process. Chris’s seat at Christmas dinner was glaringly vacant. During this Christmas season, Chris’s family must bury him. Evelyn’s friends and family will be wiping a tear, rather than sharing Christmas cheer. Instead of writing Christmas cards, Evelyn will be writing Chris’s eulogy. We must reform or repeal this law in the 2017 85th Session of the Texas Legislature. 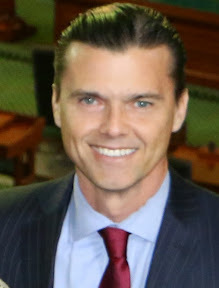 This work is very expensive, but the Texas Death Panel Law must be reversed so that no more patients who are ailing and disabled face the tragic ordeal Chris and Chris’s family faced. People, another “pro-life” group, one that provides much cover for the Texas Medical Association and the Texas Hospital Association, so as to continue the draconian statute we know as TADA (Texas Advance Directives Act), which was used to kill Chris Dunn, is claiming that Chris was unresponsive from the moment he was admitted. This group is citing the self-serving affidavit of a doctor of Methodist Hospital and claiming that a diagnosis was made. 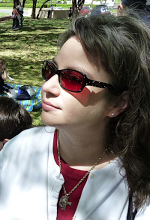 A diagnosis was pronounced, but the proper testing and medical evaluations were NEVER DONE. NEVER. Thus, a diagnosis as most think of one, was not, in fact, completed even if some claim it was. No independent medical examination was ever conducted of Mr. Dunn. This group, citing this affidavit, claims that Mr. Dunn was unresponsive the entire time. Friends, you have seen the video, and you know different. Mr. Dunn PRAYED for his life. PRAYED. Unresponsive people cannot do that. And, do we kill off unresponsive people? Apparently that’s OK to some. It is not to me. This group and its supporters are totally fine with TADA and the outright denial of basic due process rights to patients. Rights that we afford convicted criminals but not the ill. At no point in time do they say otherwise. They talk about their version of his condition, which they have no first hand knowledge of and cannot possibly have. They use their version of his condition to support the denial of due process rights and the cessation of his care. Mr. Dunn died before his life-sustaining treatment could be removed, which is what the hospital wanted to do. But Mr. Dunn’s true condition will never be known because the hospital never bothered to find out. And they would not do a procedure that would have allowed him to be transferred. This group has never helped a single patient be transferred to another facility to avoid a TADA imposed death. Never. Texas Right to Life has. Literally hundreds of times. What is most troubling about this is that this group and its supporters really do support euthanasia, they just won’t admit it. They claim the rest of us are the ones that do not support life. Don’t fall for the wolves in sheep’s clothing. As I have said, those that support TADA have blood on their hands. Not just Mr. Dunn’s, but the other victims of this law.